End-user data collection, analysis, and visualization are very important to businesses nowadays. Decision makers in companies have come to rely on this data for its predictive capabilities. When properly utilized, data can tell a story, which can help determine the strengths and weaknesses of a company. Smart people embrace negative feedback, as it is most beneficial to moving the needle. With that said, it is helpful to see positive feedback too, of course. Bing Pulse has proven to be a valuable data collection tool, gathering user sentiment in real time during things like debates and the Presidential State of the Union Address. Pulse has been expanding, however, touching more and more Microsoft solutions (Azure, Skype for Business, OneNote, etc.) along the way. As a result, today, Bing Pulse is rebranding as Microsoft Pulse. This is more than superficial, you see, as Microsoft Pulse is also gaining new functionality, plus a refreshed focus beyond just real-time voting. "Today, we're excited to announce that Microsoft's Bing Pulse is changing its product name and brand identity to Microsoft Pulse. Transitioning beyond instant voting and audience engagement, Microsoft Pulse now empowers users across diverse industries to engage with their customers, conduct research and analysis, and collect deeper insights in real-time", says Microsoft. The Windows-maker further says, "Microsoft Pulse has also become a multi-platform service, integrating with several products within the Microsoft family, including: Azure Media Services (video), Skype for Business (meetings), OneNote (sharing), Yammer (enterprise communications), and Power BI (analytics). 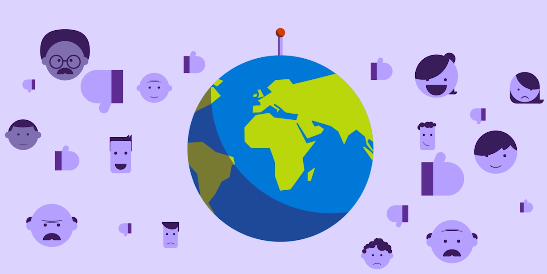 With a fully-loaded roster of free research features, users can now gain deeper insights in innovative and unique ways that go beyond engagement from anywhere in the world". While people tend to associate Pulse with politics -- for which it is does shine -- due to high-profile usage by CNN and Fox News for political events, it is so much more. For example, it can be used in a classroom setting to monitor both student engagement and understanding, so that the teacher can adjust lessons accordingly. It can even be used in conjunction with Skype for Business, for real-time feedback for company meetings and presentations by employees. Microsoft Pulse is gaining important updates to visualizations too, including more powerful dashboards. Of course, you can also connect to Power BI or use third party solutions by leveraging APIs. 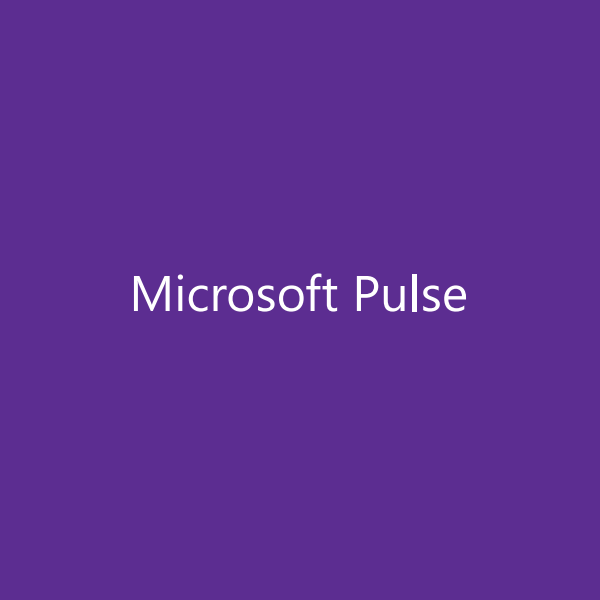 Microsoft shares the following new functionality in each of Pulse's respective categories. 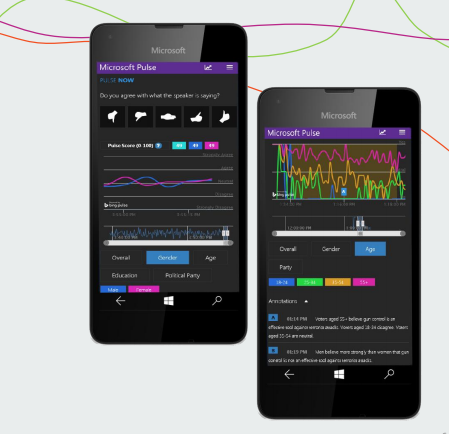 Are you excited by the potential of Microsoft Pulse? Tell me in the comments.